Ms. Dance has cleverly called epigenes “DNA referees” in her article. This gives us a vivid image of tiny referees on each gene along the DNA telling it when it can play in the game of life, and when it is “out of the game”. Now these little referees are intensely in tune with what is going on with the whole person – what is working well and what isn’t. With this understanding, the little referees control what genes can play the game of life. With this vivid and understandable image, this nimble science writer helps us in the lay public understand how our lifestyle choices and other environmental exposures can alter our genes’ behaviors. I’ve been absolutely fascinated by this field, ever since learning about it, a few years ago. One of the reasons that it’s so intriguing is that it’s an enormously more hopeful approach than the “genes determine everything” approach of some scientists and doctors. What pessimism! Just thinking about our ancestors and their ills and feeling somewhat hopeless that we will end up with the same problems – the same disabilities – the same struggles….. and nothing that we can do about it. Taking seriously the message of epigenetics – that what we do matters – gives powerful hope to an otherwise determined hereditary blueprint. But epigenetics gives this hope. It gives us hope that our intentional actions can affect the way our genes are used by our own body in the future. It gives us hope that our improvements over our ancestors, wrought from hard experience, can even be passed on to our future children! This is because when the little referees find a setting that works well and helps in the game of life, they keep making the calls that way, and these epigenes can be passed on with these settings to a new generation. What Ms. Dance describes is how our ‘little choices’ and life’s events impact the way our genes are expressed. You might think that it’s not so significant, but when we understand that the foods we eat, the stresses we endure and the toxins that we’re exposed to may affect the way our body uses our inherited DNA, it seems to become very relevant. About 30 years ago scientists discovered the chemical markers that are attached to the surface of the chromosomes, essentially telling certain genes to turn on and others to turn off. What’s different about epigenetics is that our diet, the chemicals and or drugs we are exposed to, and even our behavior can cause changes in the way our genes are expressed – and the possibility is that some of those changes may even be passed on to future generations. The chemicals that make up the epigenetic codes ultimately come from the diet. Ms. Dance includes in her report a classic experiment published in 2003 in the Journal of Molecular and Cellular Biology; the researcher is Randy L. Jirtle at Duke University Medical Center in Durham, N.C. Jirtle experimented with certain diabetes-prone mice that can have either normal brown or overweight yellow pups. When he gave one group of mice a diet with a lot of folic acid and other vitamins, they had mostly lean brown pups. But the mice that were not given a diet with the vitamins had more fat yellow pups – further along the road to diabetes. The point of his experiment is that the mom’s diet determined how her pups used their genes. The mother mouse’s genes in the folic acid group didn’t change, but differences in her diet activated the “little referees” to express her passed-on genes differently. The science of epigenetics is comparatively young, so we do not yet know enough to understand HOW our lifestyle choices will affect our epigenomes. The studies don’t tell how, but they say it happens. It’s too late for Dr. Grandpa and me to worry about passing on our epigenetics to our grandchildren, but we can continue to make good food and lifestyle choices that will facilitate our epigenes to hopefully turn on the expression of our healthy and helpful genes. 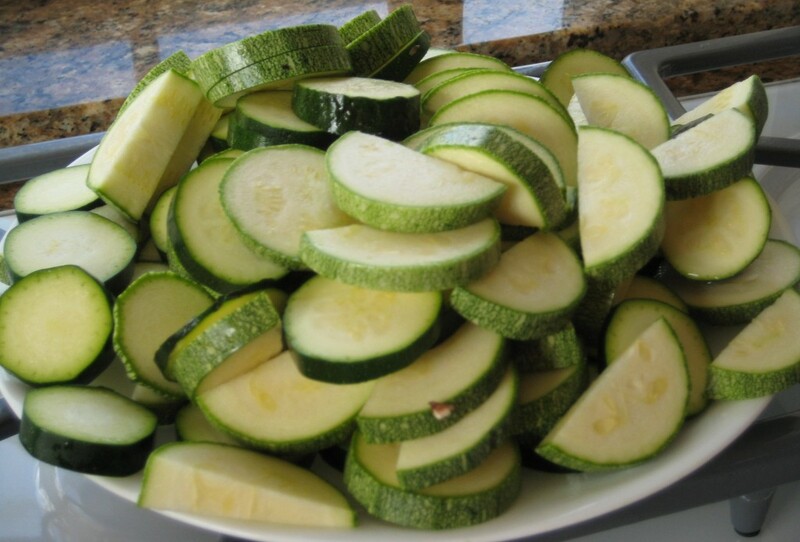 You who are younger must keep in mind that how you live and what you eat matters in ways you may not have suspected. You already knew that your lifestyle choices could profoundly affect your own health. You already knew that your example of eating and lifestyle teaches more to your children than any amount of spoken words to the contrary. Beyond these things, epigentics tells us that the effect on our bodies may be much deeper and more profound than we ever realized. Epigentics also tells us that, despite scientific dogmas to the contrary that are being challenged by this new knowledge, your choices may well affect your unborn offspring as well. 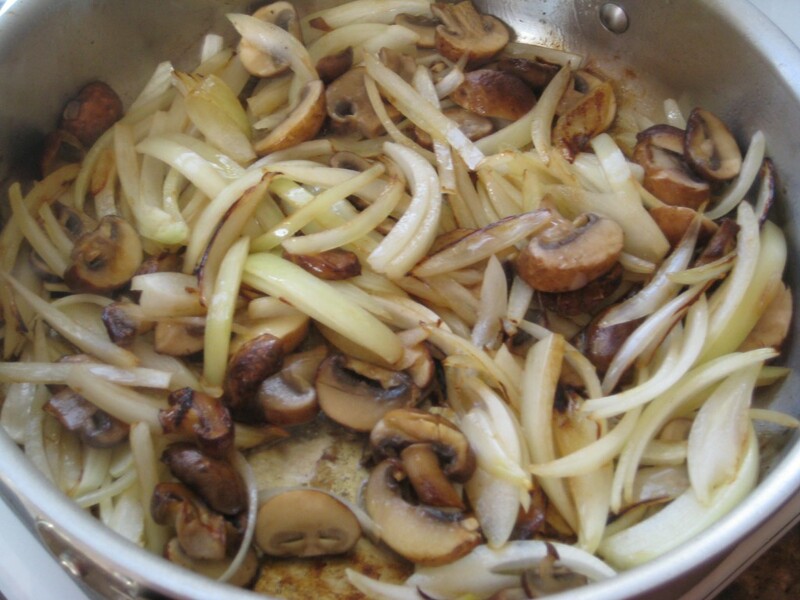 Put olive oil, mushrooms and onions in a skillet over a medium high heat. Periodically stir. 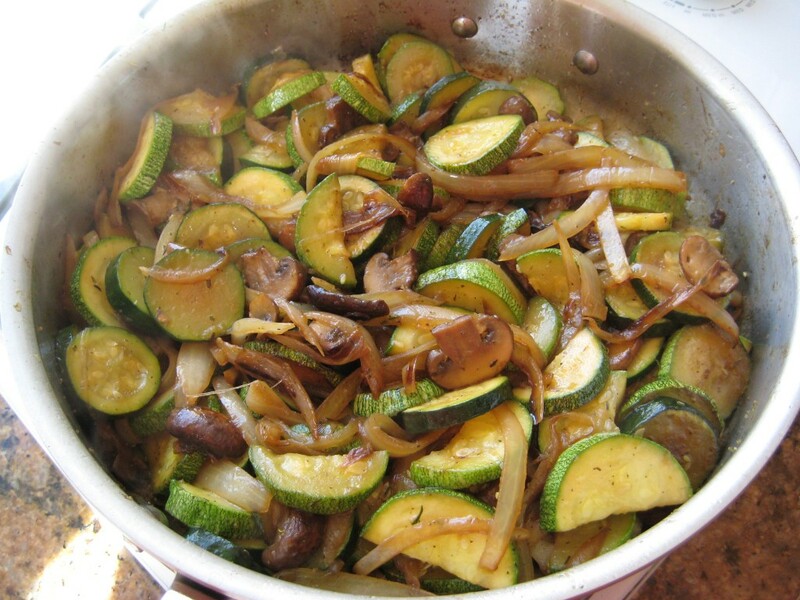 When the onions and mushrooms are beginning to brown, add the squash and the seasoning. Keep sauteing until brown and soft. Serve. 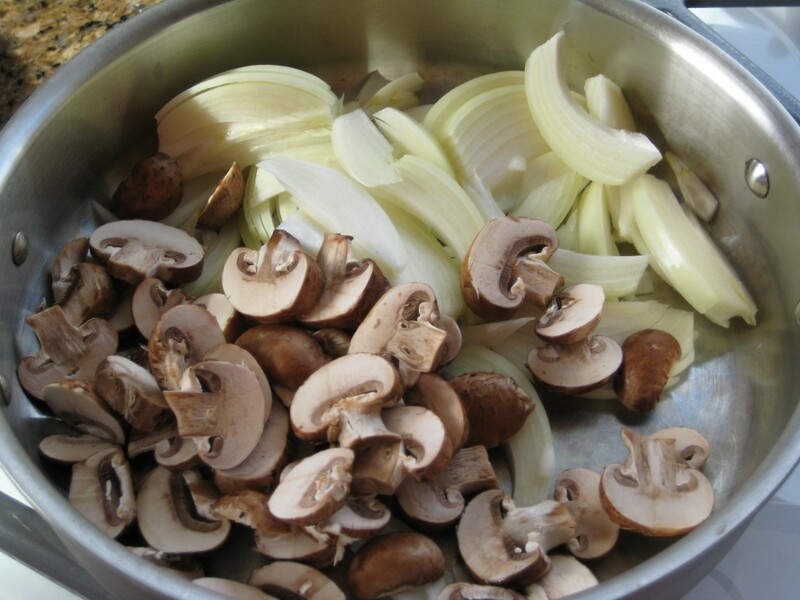 Mushrooms and onions in the skillet. Onions and mushrooms are beginning to brown. Cook until soft and caramelized.